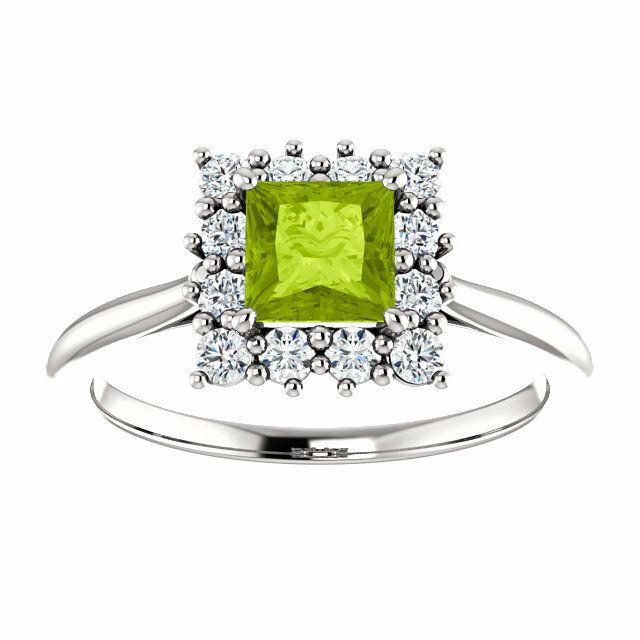 Similar to a refreshing and vivid, green grass color, the peridot is a beloved gemstone that is sure to capture your heart with its generous sparkle! The 5mm x 5mm "AA" rated authentic peridot stone is set in a sparkling diamond halo, creating a beautiful effect that allows the peridot gemstone to shine at its best! 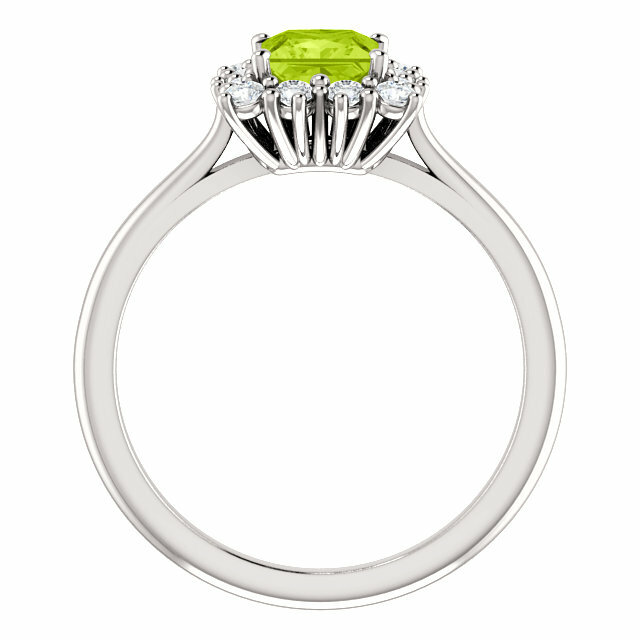 The round diamonds in the ring are of G-H color quality and Sl1 clarity, and surround the beautiful princess-cut peridot and add lots of character to the 14K white gold ring. 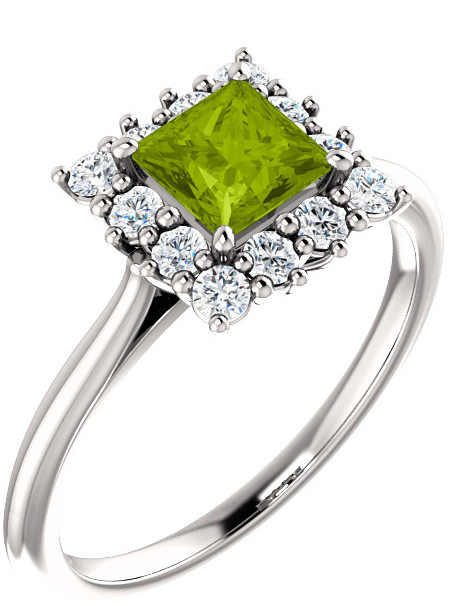 We guarantee our Square Green Peridot Princess-Cut Diamond Halo Ring to be high quality, authentic jewelry, as described above.